• Deep Groove Ball Bearings. • Angular Contact Ball Bearings. • Four Point Contact Ball Bearings. • Thrust Ball and Roller Bearings. TURBO bearings are widely used in automotive (HCV, LCV, Cars and Three Wheelers) tractor and other industrial applications. 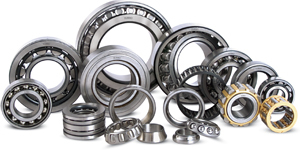 Our bearings are very well accepted in domestic and international markets. We have highly experienced promoters, well qualified technical experts with rich experience and dedicated marketing team, who continuously strive for TURBO to achieve its ultimate goal. “CONTINUOUS IMPROVEMENT IN QUALITY OF PRODUCTS AND SERVICES"